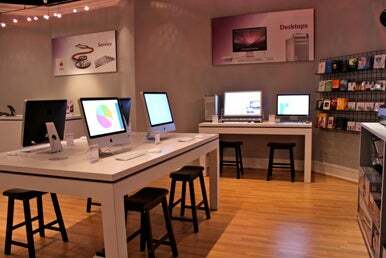 Springboard Media in Philadelphia competes with the nearby Apple Store by offering services and products not found at the Apple Store. Everett Katzen had every right to be nervous when an Apple Store opened last year, just a few blocks away from the downtown Philadelphia location where his Springboard Media shop has been selling and repairing Macs for 16 years. Apple Stores are retail juggernauts and tourist destinations. How on Earth could Katzen compete? Easy. By offering lots of little things Apple Stores don’t or can’t offer: personalized service, faster turnaround, a wider selection of accessories. After a year of competition, Katzen is confident of his store’s future. Ten years, more than 300 stores, and nearly a billion visitors after Apple opened its first retail outlet in McLean, Virginia, the landscape has shifted radically for the independent stores that once served as Apple’s main bridge to consumers. Some independent stores have adapted and continued on. A few are simply hanging on. And a few others couldn’t compete and went under in a blaze of recrimination and lawsuits. “We were an Apple-only store … as a single small business, an independently owned store, we had a very loyal following,” said Andy Gold, who for 25 years was the proprietor of the Neighborhood Computer Store in Lakeland, Colorado. 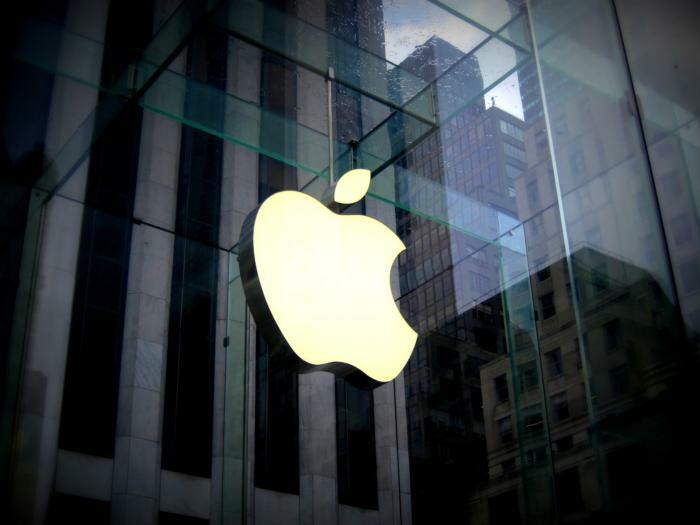 He shuttered the operation in 2006 and filed a lawsuit against Apple, which was later settled. “I wish I could’ve kept doing it,” Gold said when interviewed for this story. Survivors say Apple’s muscle isn’t the only reason they’ve been challenged in the last decade—the rise of Internet retailing has also been a factor. But Apple Stores did change consumer expectations, making it difficult for independents to keep up. “[Apple’s] free tech help at the counter, with the Genius Bar, has changed the parameters of what people expect for help—that you don’t pay, or, if you do, you don’t pay much,” said Andrew Moldvay, a part owner of The Total Mac repair shop in San Francisco. He used to have three employees; now he works by himself. Whatever their grumbles, even independent retailers concede that Apple Stores are big, beautiful, fantastic consumer environments. How have the remaining independent stores lived to fight another day? A few themes emerge. Do what Apple doesn’t. When a customer leaves their Mac for repair at Springboard Media, Katzen’s staff loans them a new computer to use in the meantime. That’s a service people appreciate, and often leads them to trade in their old machines for the newer model. And when they do buy the newer model, Springboard offers a wider array of third-party accessories than can usually be found at the Apple Store. Katzen is also considering offering customers off-site backup of their Mac hard drives. Repair-oriented shops say they can often do repairs faster (and on older-model computers) than Apple Stores do. Daniel Janisch, CEO of Keane in San Francisco, said his turnaround time is often two or three days—and he’s heard from customers that the wait at the nearby Apple Store can be longer. 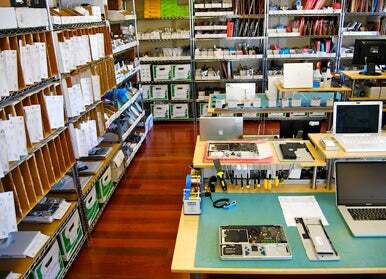 Keane in San Francisco specializes in Mac repair. Don’t treat Apple Stores as the enemy. Janisch, in fact, operated his business entirely online until 2007—then moved into a brick-and-mortar location about 100 yards from a San Francisco Apple Store. Why? Because Janisch was convinced he could capture overflow traffic of customers looking for his type of services. Keep evolving. The independents say they’ve noticed that Apple Stores are continually evolving in the range of services provided. That requires the independents to stay on their toes. The best way to survive, they say, is to be as flexible and adaptive as the competition. As a result of those strategies, the independent Apple retailers are guardedly optimistic that they can survive over the next ten years. Back in Colorado, Andy Gold has moved on. He has created a Website used by high school athletes and the NCAA to match students to college sports programs. But he remains wistful.